Haggerston School was designed (1962) and built (1964-67) by the celebrated modernist architect Ernö Goldfinger. The school is believed to have admitted its first students in January 1966 as Haggerston Girls’ Secondary School. Over the years, the school became Haggerston Girls’ School and then Haggerston School in September 2009 when it became co-educational with its own sixth form. A major refurbishment under the Building Schools for the Future (BSF) programme was completed in 2012. This included remodelling of the main teaching block and construction of a new state-of -the-art, design, technology and art block, and increased the capacity of the school from 900 to 1,100. Haggerston School remains a community school maintained by the London Borough of Hackney. 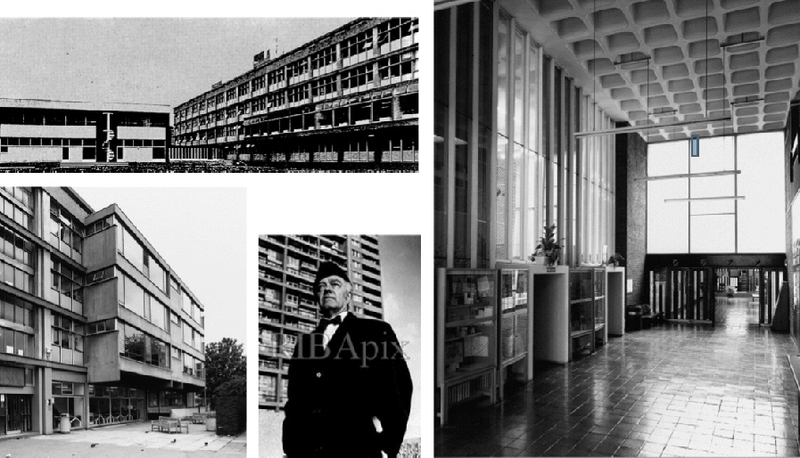 Erno Goldfinger (1902-87) was born in Budapest, and lived in Vienna and Paris, where he studied architecture under Auguste Perret, one of the first architects to develop the use of reinforced concrete aesthetically. Perret’s buildings of the 1920s and 1930s are rigorously classical and expressive of their concrete structure, and this influence is clearly visible in Haggerston School. The elevations follow the Golden Section, a use of mathematical proportion that owes considerably to Perret’s inspiration. Goldfinger’s work is unique in Britain in combining the influences of Perret with detailing and plan-forms derived from Le Corbusier; he is also unique in having known both men personally. Haggerston School is one of the outstanding school buildings of its period. It is Goldfinger’s only secondary school and is Grade II Listed. The plan has three linked blocks, a central teaching spine incorporating first-floor library, with entrance block to west containing an assembly hall and staff accommodation, and gymnasia to east. 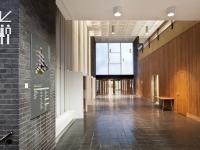 It is built in a brutalist style using a vast amount of blockish brickwork, timber, glass and concrete. The floor slabs are expressed as continuous shallow bands with a bush-hammered texture, while the exposed columns are broad and smooth faced, High concrete parapets top all the blocks. 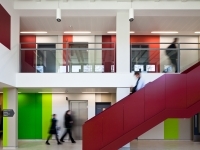 The school’s extensive modernisation and refurbishment between 2010-2012 was designed by Avanti Architects and included a brand new ‘creative’ block. 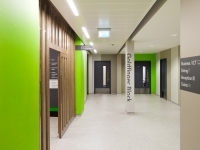 It received a commendation from “The Hackney Design Awards 2012” and was officially reopened by Dame Kelly Holmes (double Olympic gold medallist) in 2012. 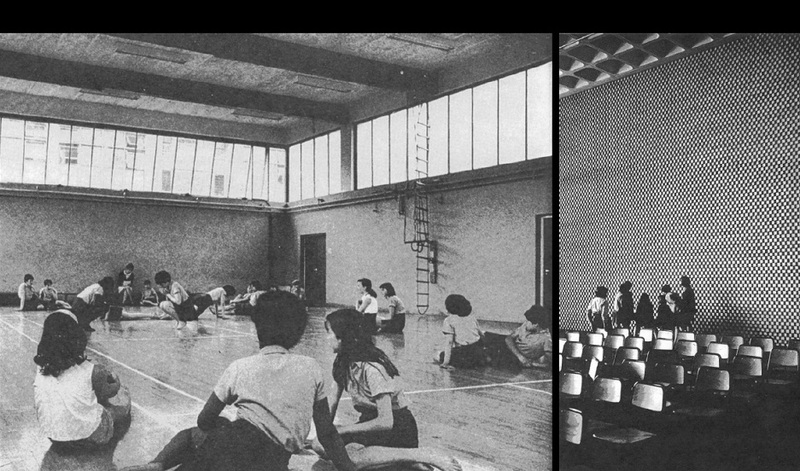 Haggerston School Architecture – a brief history.